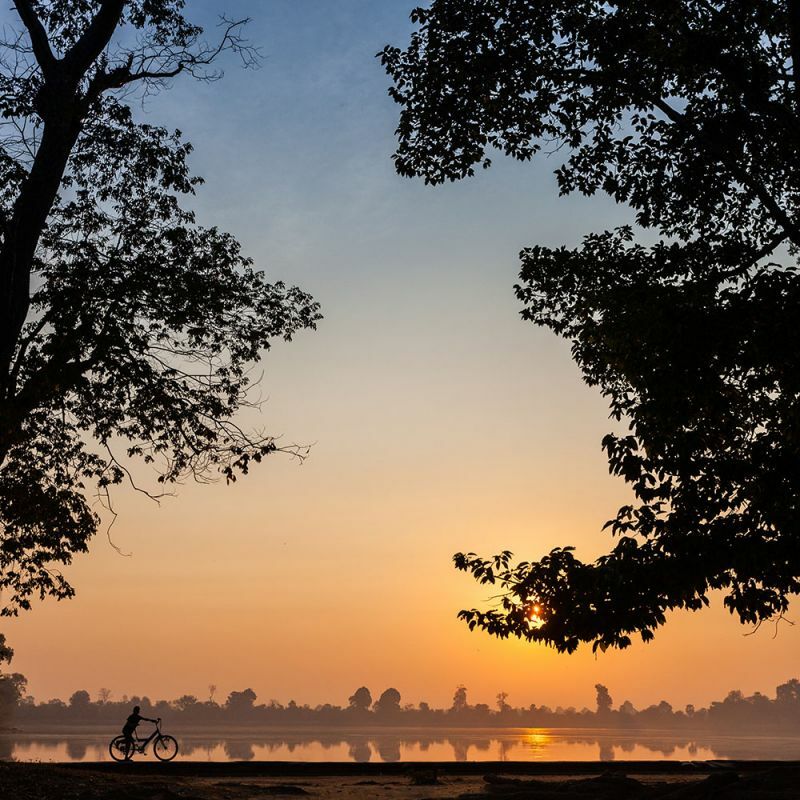 Sala Lodges invites you to discover the Kingdom of Kampuchea which will bewitch you with its thousands of temples and the smiling hospitality of it’s inhabitants. We have walked, crossed, climbed and travelled to every corner of this magnificent country that never fails to impress. Visit the walled city of Angkor Thom, the capital of the Khmer sovereigns during the 12th century. The famous Bayon with its many enigmatic faces lies in the middle of the ancient city. Nearby is the gigantic Baphuon. Finish your morning with a visit of the twin temples of Chau Say Tevoda and Thommanon. Continue with a visit to Ta Nei, a temple dedicated to Buddha and very rarely visited. It is reached on foot on a little, shaded path. Having gained its 21st century fame from the Tomb Raider movie with Angelina Jolie, the iconic Ta Prohm features on most visitors’ itineraries and rightfully so. These ruins have been colonised by the jungle and are kept upright by enormous kapok trees in the shape of hands that lead towards the earth and are lost in oblivion. 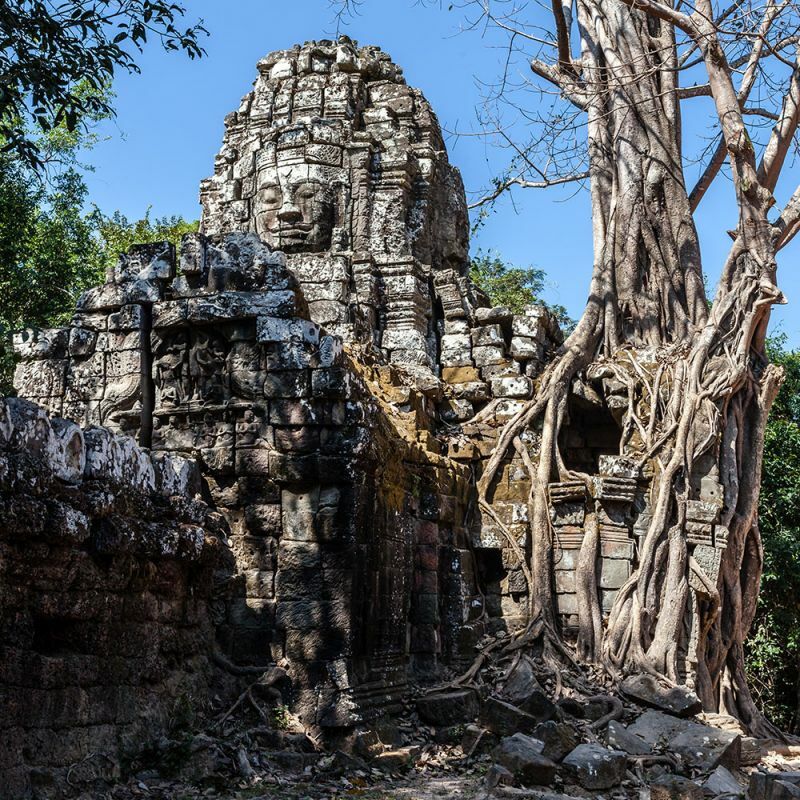 Travel to the sprawling labyrinth of Preah Khan followed by a visit to Neak Pean island and Ta Som, all built in the Bayon style during the second part of the 13th century. Then visit the Mebon Oriental, dedicated to the Hindu god, Shiva and built in the 10th century. This temple was raised on an artificial island in the middle of a reservoir that nowadays is dry. In the afternoon you will explore the magnificent Angkor Wat temple, the largest religious monument ever constructed. Built by Suryavarman II in the 12th century, this temple was initially dedicated to Vishnu, the supreme god of Hinduism. Journey to Kbal Spean, situated 50 km north of Siem Reap in Phnom Kulen national park. This 45-minute walk on steep jungle paths is rewarded by a spectacular sight of hundreds of carvings on the river bed. The most difficult parts of the jungle walk are overcome by series of wooden staircases. Later, continue on to Banteay Srei temple dating back to the 10th century. It is considered a jewel of classical Khmer art thanks to the beautiful, delicate carving in pink sandstone. Return to Siem Reap through picturesque countryside with a stop at Banteay Samre, a temple built in the middle of the 12th century. 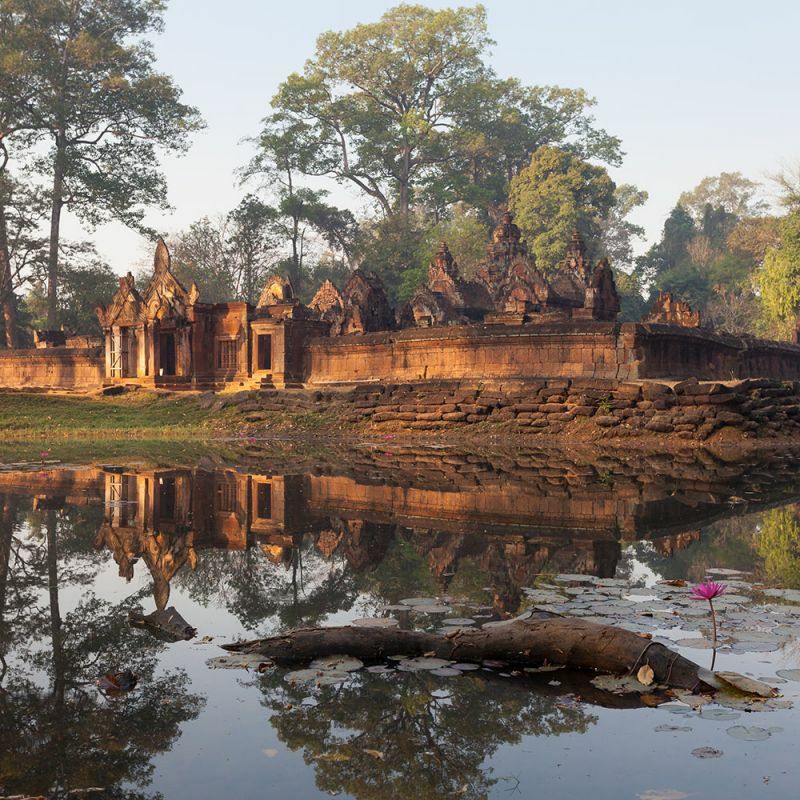 Start your day by exploring the pink sandstone temple of Banteay Srei. This compact structure built in the 10th century is mostly admired for the refinement and beauty of its sculptures and considered to be a jewel of classical Khmer art. A short drive away is the 11th century temple of Chau Srei Vibol, only recently having made appearance on tourist maps. It’s unrestored and occupying two levels with its lower parts overrun by jungle. 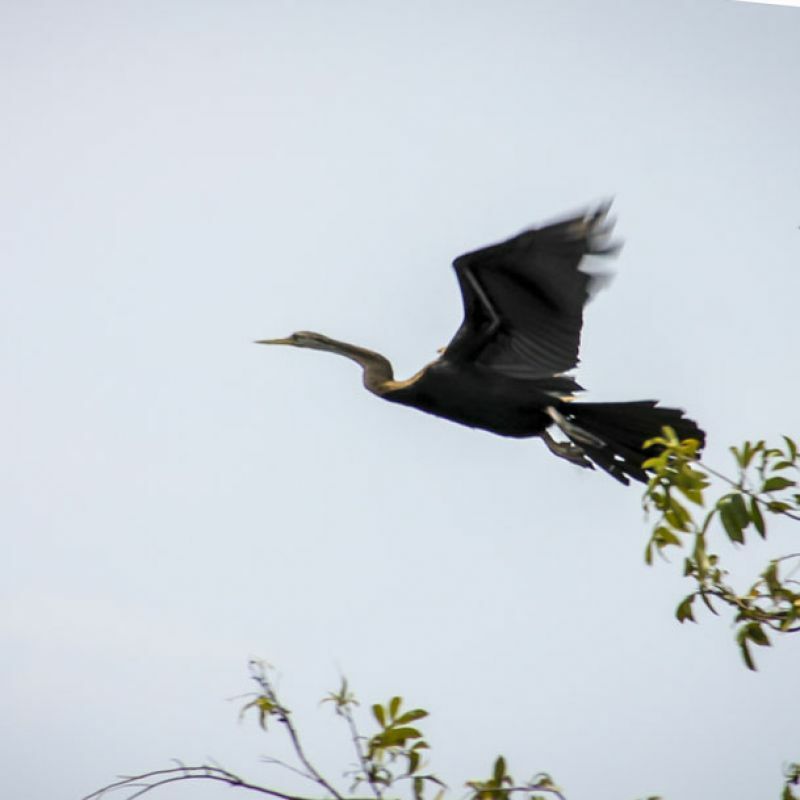 Launch your kayaks on the edge of the Tonle Sap, paddle over flooded paddy fields and forest witnessing subsistence lifestyle of the people occupying the margins of the great lake. We will reach the village of Kampong Kleang and row to meet Mrs Hong. Her house with a wooden verandah is one of the prettiest in the village. Here you will have lunch overlooking the pagoda raised on a small hill. Later in the afternoon, when the shadows grow longer, with a chilled drink you can watch the fishing boats return home and offload their catch. This adventure is lead by Nick or Buntha, both with 8 years experience. 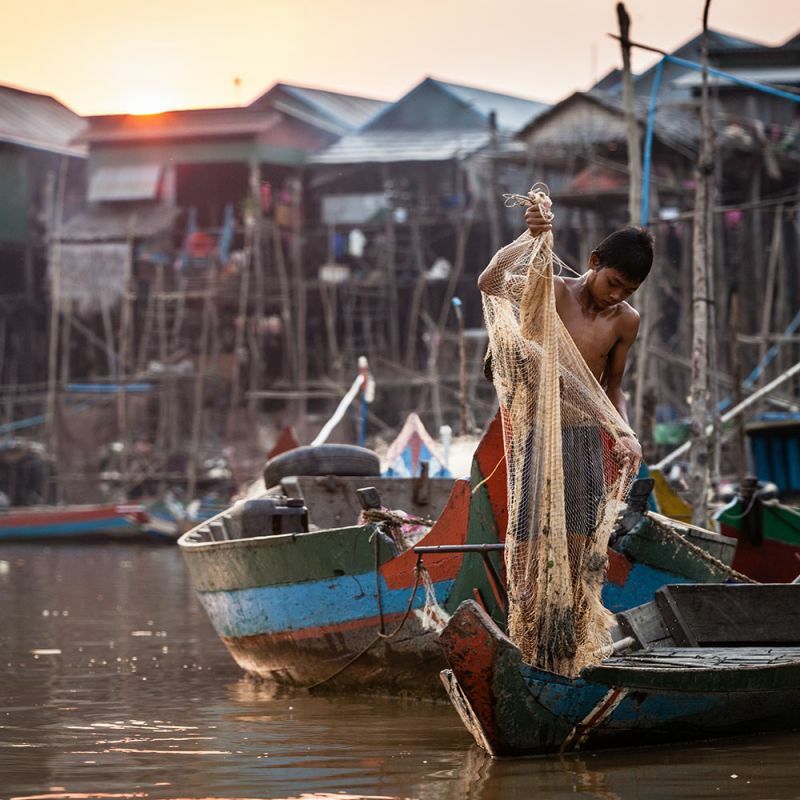 This half day visit is one where you can put your feet up and totally relax, spend the afternoon perched against cushions and watch local village life go by along the Tonle Sap lake. Aboard a small luxury boat, you will reach the floating village of Chong Kneas, which lives in harmony with the rising and falling waters of the lake. This is a unique opportunity to capture the local daily life of the inhabitants of South-East Asia’s largest lake. As the sun starts to set, kick back with soft jazz playing in the background, and watch the red and orange hues dance across the water ripples creating a picture perfect horizon. 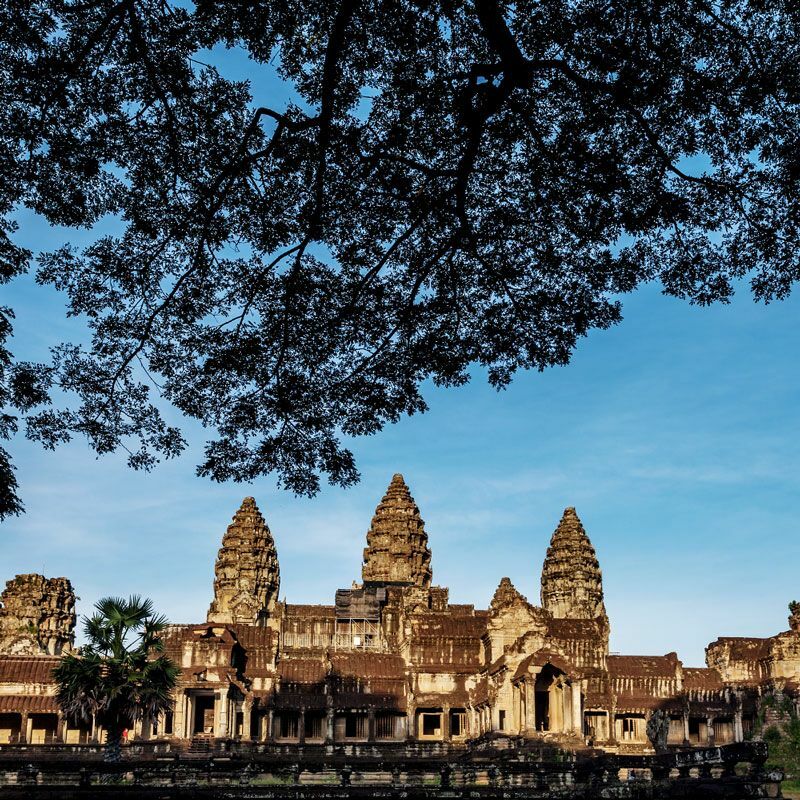 Capture Angkor Temples with a fresh look. Take THE original picture that no one else got before. Stride across the shadows of antique khmer Empire away from the crowd and under a new light… Embarq for an Angkor tour or in the surrounding countryside with a professional photographer who will guide you and will give you precious advices to take incredible pictures. Once back at the hotel, the professional will also help you to get an original shot of Sala Lodges. 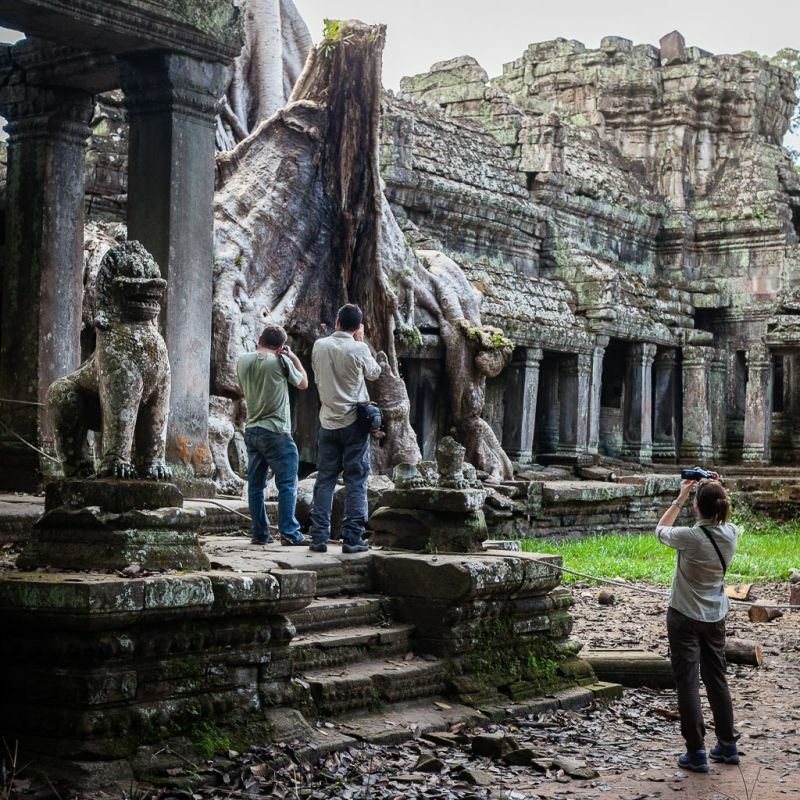 Alessandro Vannucci, Chris Cusik or Regis Binard, the official Sala Lodges’ photographer, will be your « guides » for these special tours that will give you the opportunity to discovers the temples in another way. 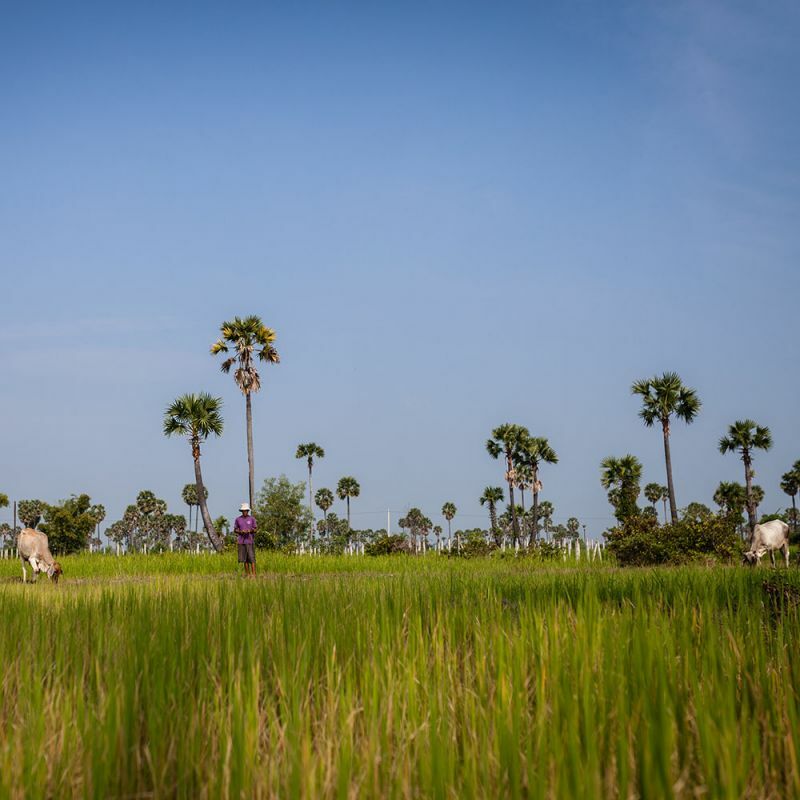 Get on a bike and travel along the country roads and tracks, far from the crowds, ready to discover everyday cambodian life in villages. During your ride of approximatevely 20 kilometers you will have the opportunity to see traditional houses very similar to those of Sala Lodges or even to cross through a village where one of our eleven houses originated from. Your guide for this excursion through magnificent scenery, will also take you through rice paddies, pagodas or to visit a local market.